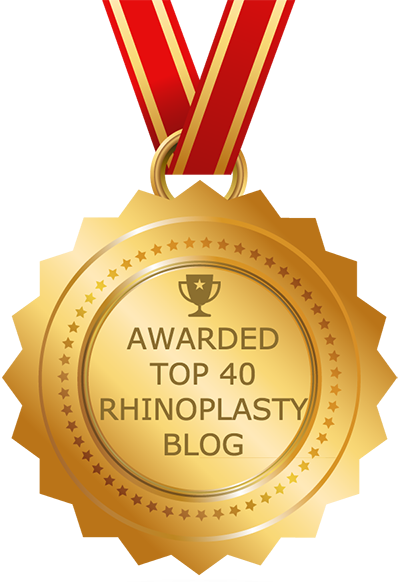 Rhinoplasty is popular among all adult age groups, including older patients seeking nose surgery to improve the form and/or function of their aging nose. The techniques used for the aging nose are the same as those used on younger noses. That being said, the nose does change slightly as we age, and therefore certain complaints — and certain rhinoplasty goals — are common among older patients. The growth of the nasal skeleton ends at around age 16 or 17. However, as with any other part of the body, other factors may cause it to continue changing in appearance over time. Age-related changes to structures surrounding the nose, such as ligaments, are what causes the aesthetic changes typically associated with aging of the nose. The rigidity and strength of the cartilage are the most important factors in this process. People with naturally stiff, rigid cartilage are less likely to see major age-related changes in the shape of their noses. People with soft cartilage, on the other hand, are likely to notice more significant changes. Many older patients choose to have rhinoplasty for the reasons outlined above. Some people decide to have their nose shortened, while others want it lifted. Some need both. Lifting can sometimes be achieved through a relatively non-invasive technique that does not alter the nasal bones. Healing is quicker with this procedure than with many other rhinoplasty techniques. The procedure may be performed in isolation or with other techniques. Sometimes, the tip is also refined during the same procedure. Other types of rhinoplasty for the aging nose include reduction or repositioning of the lower lateral cartilages, grafts for lift or definition, and a columellar strut to lift and support the tip. The septal cartilage may be trimmed and special suturing techniques will likely be employed. All surgical procedures have some risks, and rhinoplasty is no exception. In fact, rhinoplasty is an invasive procedure that should not be taken lightly. However, serious side effects are rare. As long as you are a good candidate, rhinoplasty for the aging nose is just as safe as any other rhinoplasty procedure. One of the main factors that make a person a good candidate for rhinoplasty is good health. This may exclude some older patients —we are all more likely to fall into poor health as we age — but, obviously, this is not a given. It is also important that you have realistic expectations. Rhinoplasty for the aging nose is not going to make you look like you’re 20. In fact, it won’t necessarily make you look younger at all. It will, however, make you look better if performed by a qualified, board certified facial plastic surgeon specializing in rhinoplasty procedures. Will the Nose Continue to Change After Rhinoplasty? Rhinoplasty can alter the appearance of an aging nose, but it can’t stop the aging process. However, while the nose will continue to age, this will not necessarily have a big effect on the results of the procedure. An experienced rhinoplasty surgeon will take steps during the procedure to bolster the nasal framework and prevent the aging process from undermining the results of the procedure. Your rhinoplasty results should last for life. Of course, the face will continue to age in other ways that are unrelated to the rhinoplasty procedure. Blemishes from sun damage may appear and pores may get bigger. Blood vessels at the corner of the nose may get bigger as well. Also, because rhinoplasty changes the overall look of the face, some patients begin to notice signs of aging that they didn’t notice before, because they were so focused on their nose. Again, the best way to ensure a positive result and avoid any future problems is to choose a board certified facial plastic surgeon to perform the procedure.